Messing with Evil Spirit on Video!!! Post Malone oughta know — if ya dance with the devil, you’re gonna get cursed, and this super creepy video explains why his life feels like “Final Destination“ lately. Months before Post’s private jet nearly crashed, his Rolls-Royce got totaled and armed crooks targeted him … the rapper was hanging with “Ghost Adventures” star Zak Bagans and something known as the world’s most haunted object. What could go wrong, right? Zak tells us the close encounter went down in June at his Haunted Museum. 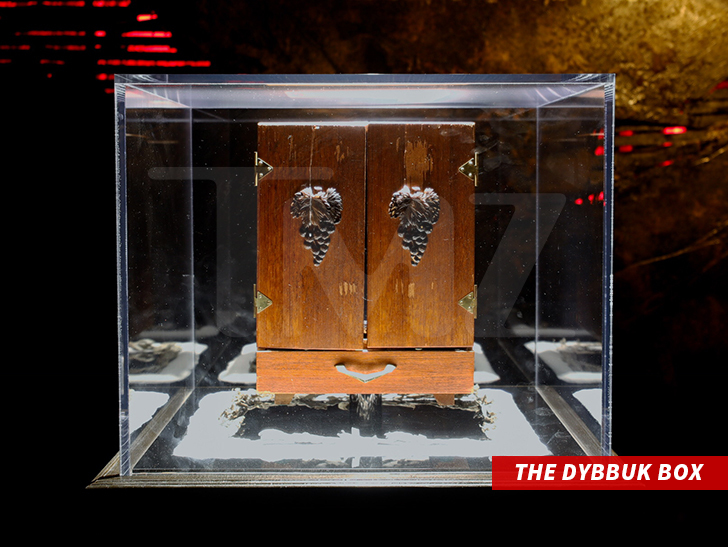 The object is called the dybbuk box. Dybbuk is Yiddish for “malicious spirit” and the box inspired the horror flick, “The Possession.” Sooo … totally cool. After downing some beers, Zak says he took off the protective case and for the first time ever, felt compelled to touch it. He says Post was freaked out — you can see it in the video — and did NOT want any part of the box. Anyway, Zak believes it’s absolutely what’s behind Post’s string of death-defying incidents — the emergency landing, the scary car crash and the home invasion. Post told us he thinks God might hate him, but our advice is to lay off the dybbuk, bro. Or, hire an exorcist. Again, what could go wrong?